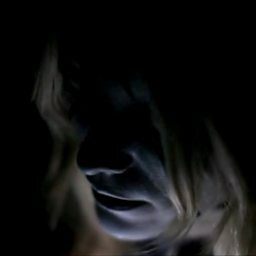 Fever Ray is the solo project by Karin Elisabeth Dreijer Andersson (born 7 April 1975) also the lead vocalist of electronic music duo The Knife, formed with her brother Olof Dreijer. Andersson was previously the vocalist and guitarist of the alternative rock band Honey Is Cool. Andersson released her debut solo album under the name Fever Ray in 2009. Her vocal style is notable for both shrill and deep, distorted tones combined with her distinctive accent and the use of pitch-shifting, while her image as a performer tends to include the wearing of masks and other theatrical elements. Karin Elisabeth Dreijer (born 7 April 1975) is a Swedish singer-songwriter and record producer. She was one half of the electronic music duo the Knife, formed with her brother Olof Dreijer. Dreijer was previously the vocalist and guitarist of the alternative rock band Honey Is Cool. Dreijer released her debut solo album under the alias Fever Ray in January 2009. Her second studio album under the alias, Plunge, was released in October 2017. Dreijer's vocal style is notable for both shrill and deep tones, and also the use of multitracked vocals, with different uses of pitch-shifting technology on each track, creating an intricate and mysterious effect. Visually, Dreijer employs the use of masks, face and body paint, intricate costumes, and other theatrical elements in photo shoots, videos and live performances, during which she often performs behind a gauze screen that partially obscures her from view. Björk: "The generic concert is convenient but it's not the only way"